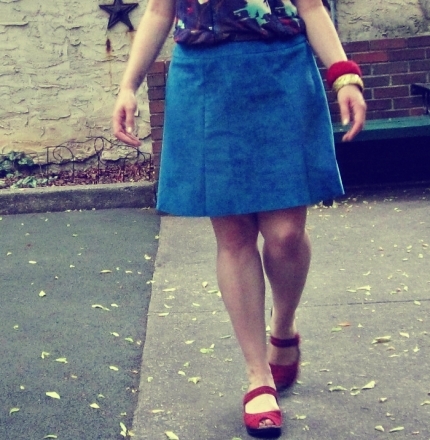 Since I took project photos as I made my silk skirt, I’ll post them, here, with step-by-step directions. 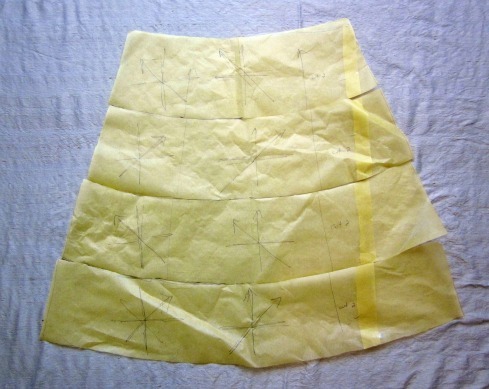 1) I started with a basic A-line skirt pattern, which I make as a front plus a back with a size zip. 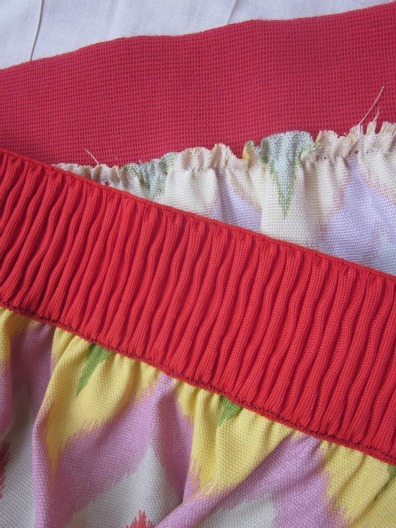 I also usually use a simple waist facing, as well, although on this one I chose an elastic binding for the waistband. 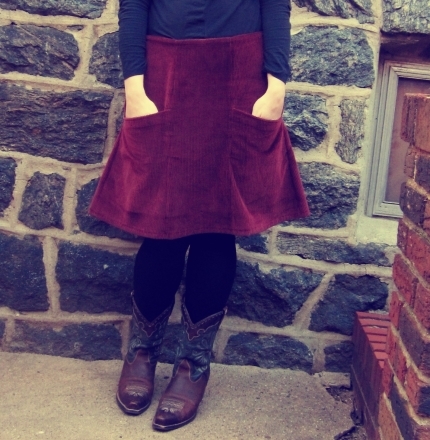 This is a skirt style I have made dozens of times, so I usually just trace one of the many skirts in my closet and make a few adjustments based on how long I want it this year, or whether I need an inch added to or taken in at the waist. 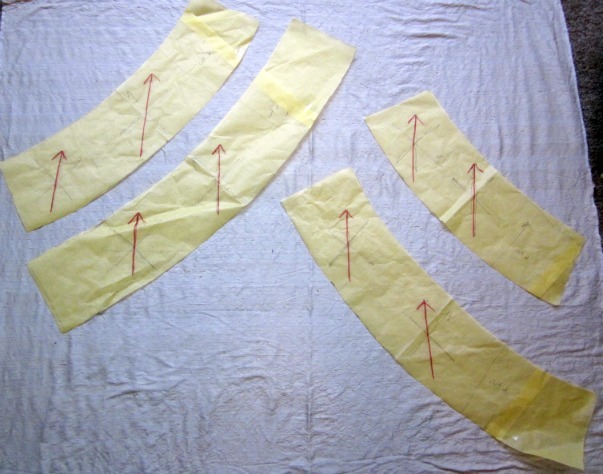 2) I cut my pattern in half, and then half again, to make strips. 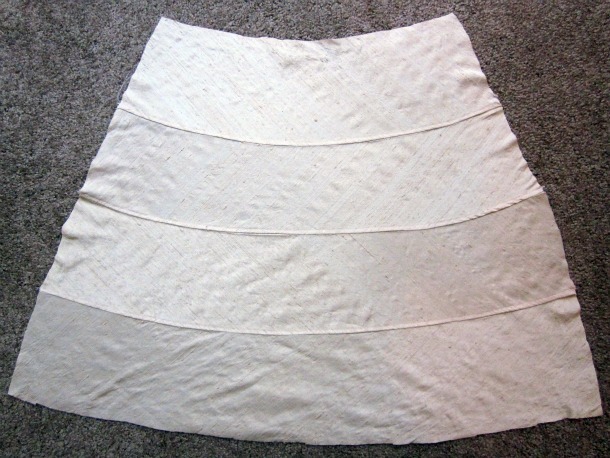 You could make as many strips as you like of your basic skirt shape. 3) I drew new grain lines on each piece, at a 45-degree angle from the vertical, each “slice” alternating in the opposite direction from the one next to it. 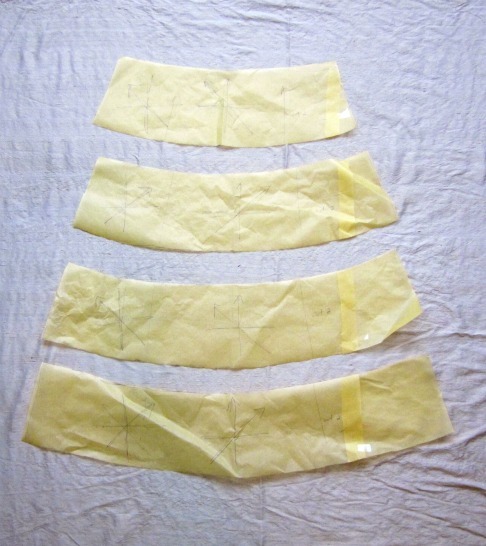 4) I used these markings to lay out my new pattern pieces, all the grain lines running in the same direction, and lined up with the grain of the fabric. I drew my pattern without seam allowances, and then added seam allowances before I cut. 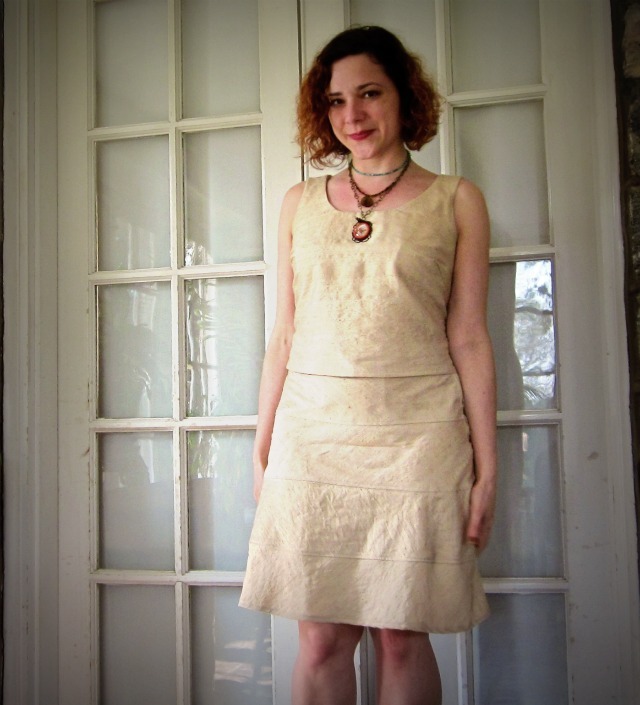 Make sure you’ve given yourself not only adequate seam allowances, but also an edge to work with at both the hem and the waist, depending on how you like to do hems and waistbands. 5) Now you put the pieces back together to create a front and a back. 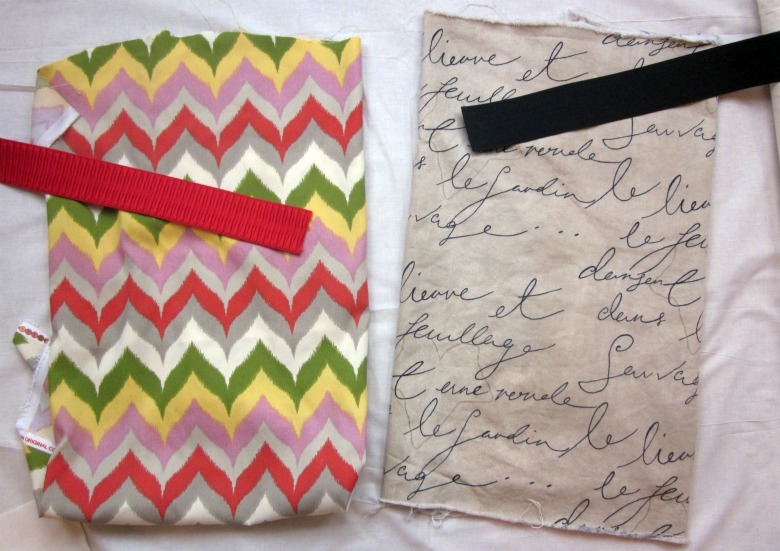 I used flat-felled seams to join each segment, and I like these step by step instructions. 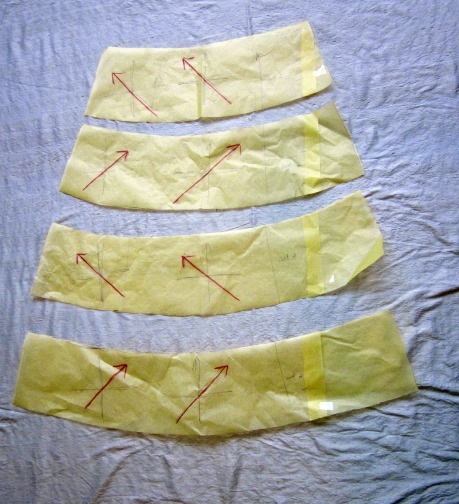 6) After sewing all your strips back together, you have a front and back of your basic skirt pattern. I’m the queen of cheap and easy sewing projects. If there’s a fun fabric around and I can make it wearable, in garment form, in an hour or less, I’m going to go for it. This weekend I found some fun printed upholstery fabrics at my local shop that suggested immediate and simple fashions with barely any effort required. 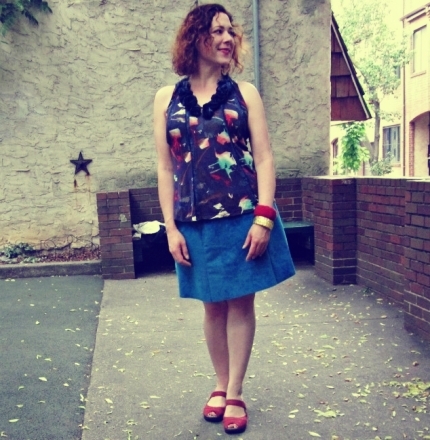 There’s no garment more simple to sew than an elastic-waisted skirt, and I’ve found that if I skip the casing and buy elastic that can serve as a waistband, unattended, I can simplify the “simple” even farther. 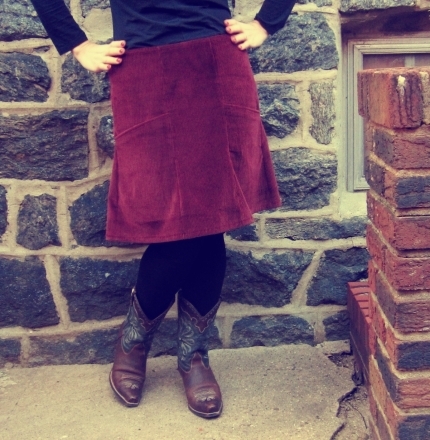 This skirt takes only four seams to make, and requires no measuring. 2) cut the elastic to be just long enough to fit around your waist and sit comfortably, slightly stretched, at just the height you want to wear your skirt. 3) fold the elastic in half and mark the center with a pin. Then fold each half in half, and mark each quarter point with a pin. Fold each segment in half once more, and pin for each 1/8 point. Then, repeat the same process along the top edge of your fabric. 4) You will now have the same number of pins in both your elastic and along the top edge of your fabric. Pin the elastic to the top edge of your fabric, overlapping the zigzagged edge by 1/2″, and matching up elastic pins to fabric pins. 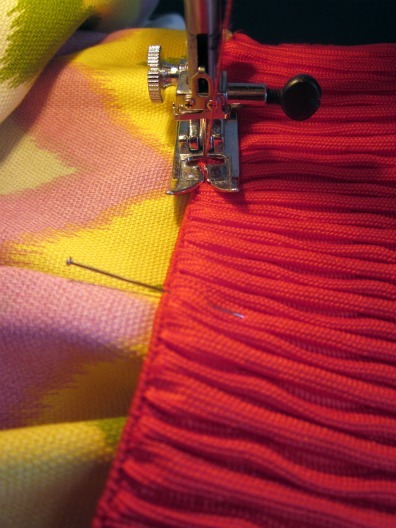 Because your fabric is longer than the elastic, the fabric will bunch up between each pin. 5) Sew both layers together, stretching the elastic so that it goes through your sewing machine smoothly right on top of the fabric beneath it. Sew close to the edge of the elastic. 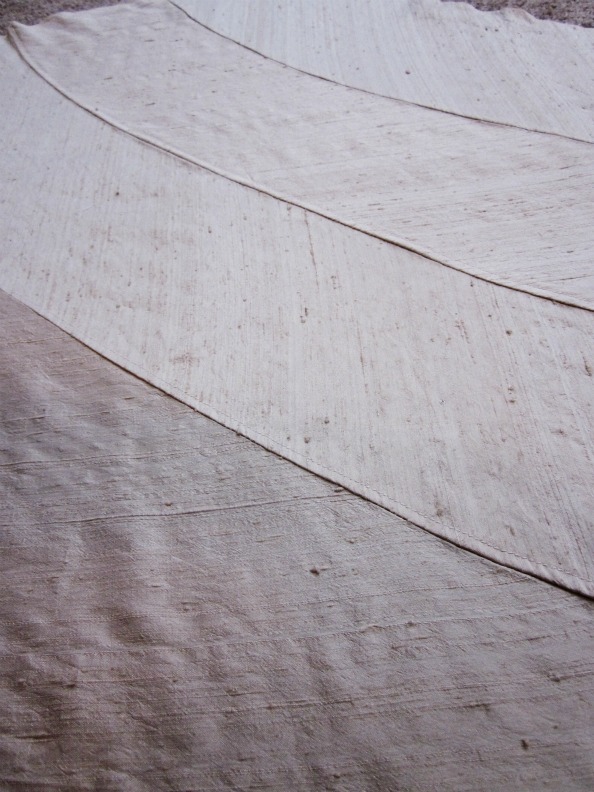 The stretch will created a “gather” in the fabric. 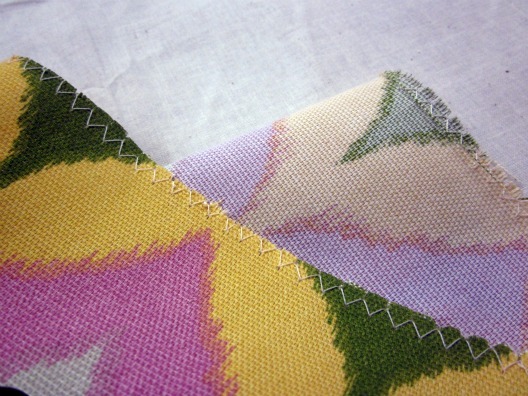 If you have trouble holding the elastic stretched while sewing, you can also run two rows of straight stitches along the zigzagged edge of the fabric (no backtracking) and gather it, first, and then pin it to the elastic, already gathered. Pin, and sew that in place. 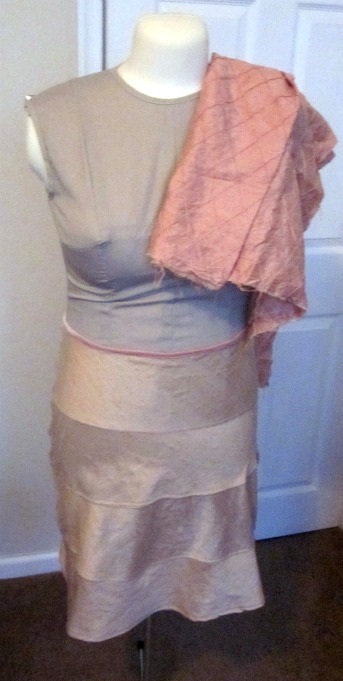 6) Sew the side seam: with right sides together, pin the ends of the elastic together, and the sides of the fabric. 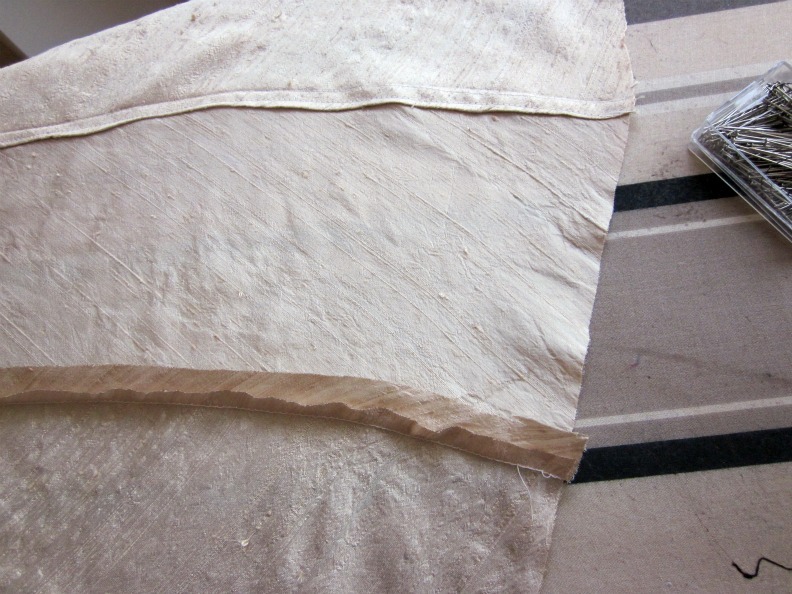 Sew a 1/2″ seam across the ends of the elastic and all the way along the fabric. 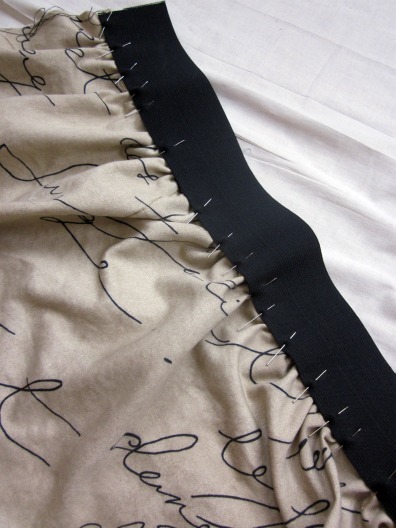 I sew back and forth across the ends of the elastic several times, to secure it strongly. Press seam open. 7) Try on your skirt. 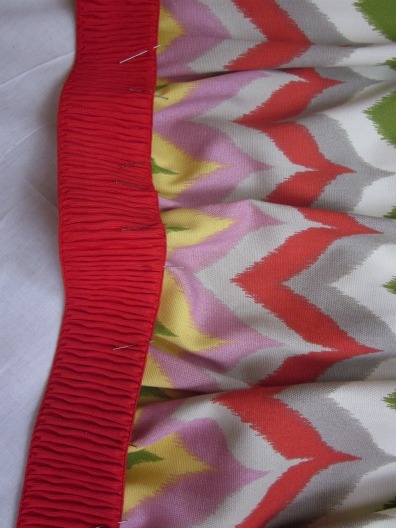 Trim your skirt to the desired length, and hem it. I turn up and press a narrow edge along the bottom of the skirt (1/4″) and then turn up and press another 1/4″, folding the raw edge inside. I use the blind-hem setting on my sewing machine to stitch it in place. You can also just top-stitch it. Press seam. 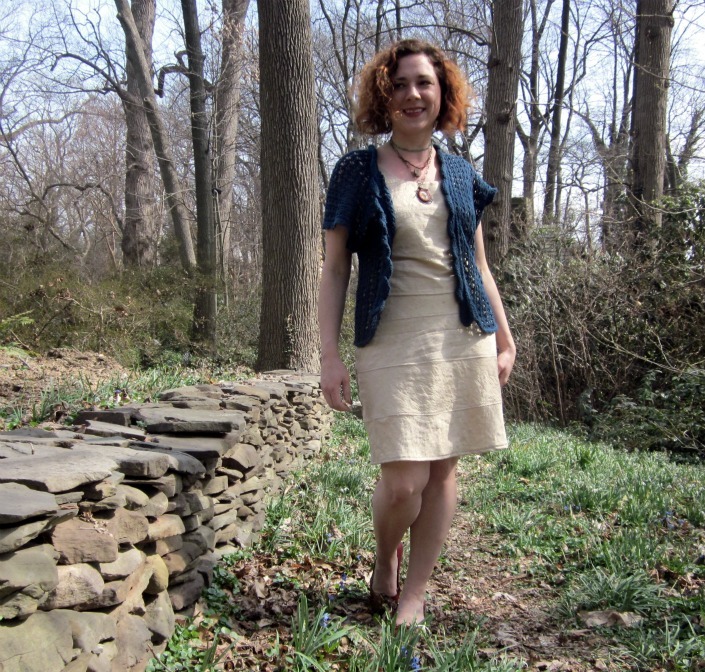 In addition to being easy, depending on the fabrics you find, these can also be really cheap. 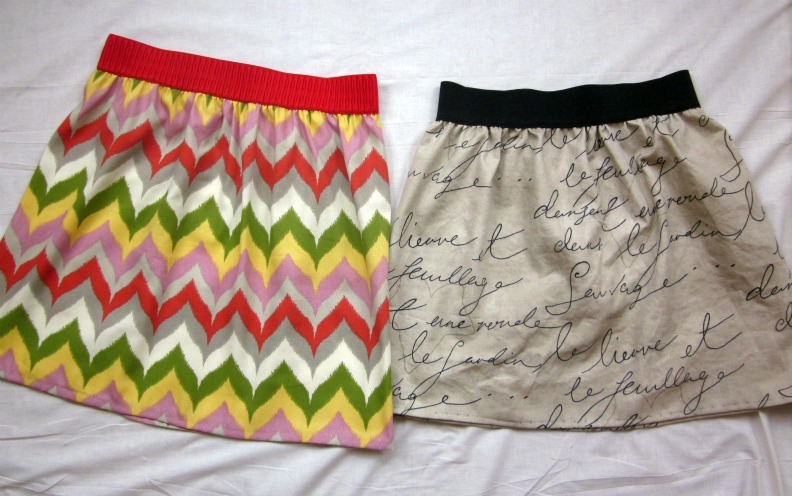 I paid less than $10 for each of the skirts pictured here. I also feel I was a little influenced, this day, shopping, by the fact that the Anthropologie catalog came in the mail that morning. I might have been slightly more in the mood for “spring prints” as I embarked, because of the layered patterns and textures I saw there.